The Friends of Buker is in the process of raising funds for Phase 2 of the new Buker playground project! This past summer we replaced our 17 year old playground with new play structures that can be used and enjoyed by students of all grade levels as well as many children in the Hamilton-Wenham community who play on the playground during practices and games. Phase 2 of the project includes plans for the installation of a brick patio that will be located adjacent to the new playground. It is our hope that this space will provide our students an opportunity to gather and socialize, as well as function as an outdoor classroom during the warmer months. The new playground is dedicated in the memory of our schoolmate and friend Jennifer Maio whom we lost in October of 2015. We have been working for more than two years to raise the money necessary to pay for this project. 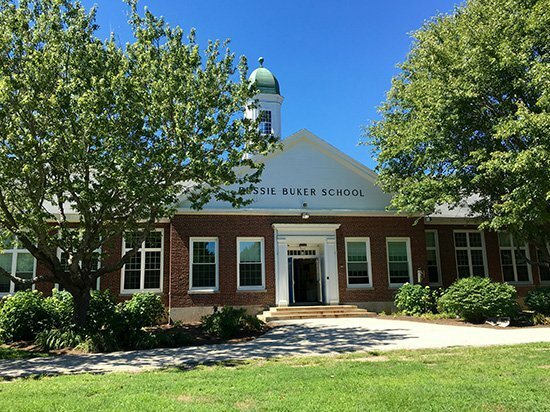 Funding has relied heavily upon donations from members of our Buker community, our local businesses, our school district, and the towns of Hamilton and Wenham. We could not have accomplished all that we have in this amount of time without your help. We sincerely thank all of our donors for your extraordinary and continued generosity. PLEASE NOTE: 12X12 BUSINESS BRICKS CAN BE TEXT ONLY OR YOU CAN INCLUDE YOUR BUSINESS LOGO. SELECT YES TO CLIP ART AND UPLOAD THE HIGHEST RESOLUTION FILE AVAILABLE. IF YOU UPLOAD A LOGO YOUR VIRTUAL BRICK PREVIEW WILL NOT BE AN ACCURATE REPRESENTATION OF THE FINAL ENGRAVING.